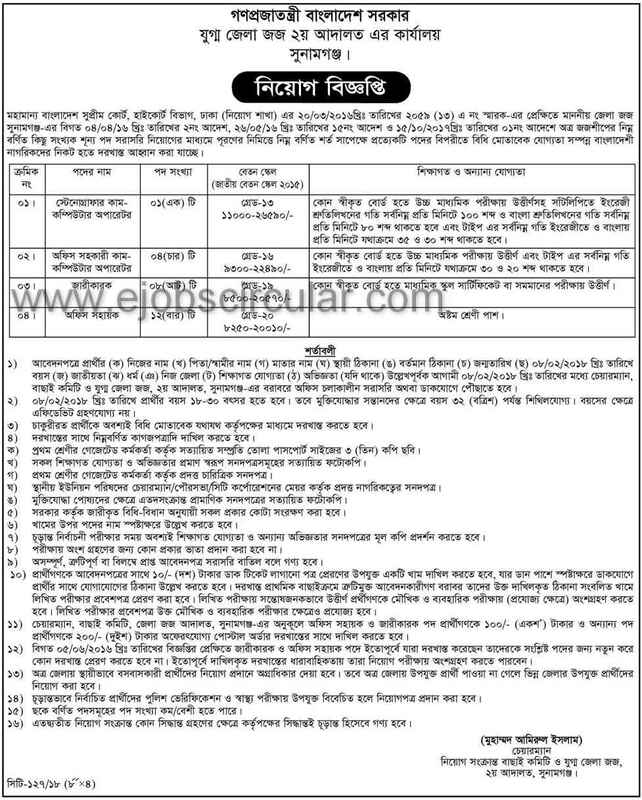 Bangladesh Supreme Court published New job vacancy Notice at supremecourt.gov.bd.Supreme Court Job offer 25 New vacancy in this post. JSC/JDC, SSC,HSC, Honours pass student can apply this supreme court Job Circular 2018. You have to sent Your Document before 08 February 2018.